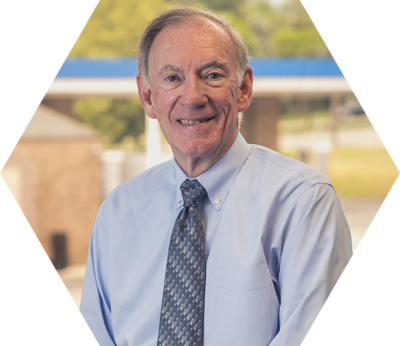 Ken has been active in financial services for nearly 40 years. In addition to the CLU and CRPC professional designations, he has passed the Series 6, 7, 22, 63 and 65 examinations. A 1971 graduate of the University of Michigan with a BA in political science, he is a lifetime member of the University Alumni Association as well as a member of its’ Presidential Society and Victors Club. Ken began his financial career with The Hartford Insurance Group where he spent 10 years, three as Michigan Regional Sales Director for their Life Insurance Company. He later spent over 20 years affiliated with CIGNA and Lincoln Financial Advisors following their merger; twice being named Regional Planner of the Year. Ken is a multi-year recipient of the 5 Star Wealth Manager recognition in the Detroit area by D Business Magazine and has also been recognized as a Top Scoring Wealth Manager by Hour Detroit Magazine (2013 – 2018). He became affiliated with Integrated Capital Management with the establishment of the firm. Ken’s practice focuses on comprehensive Financial Planning including Wealth Management, Estate Planning, Business Continuity, and Retirement. His clients consist of business owners, executives, professionals and retiree’s. He and his wife, Sally reside in Clarkston, Michigan where he has been involved in numerous community activities and is active in his church. They have 2 grown sons. We work with each client to draft a life plan, a road map of sorts, based on a deep understanding of personal goals, aspirations and resources. © 2019 Integrated Capital Management. All Rights Reserved. This site has been published in the United States for residents of the United States. The entire site has been prepared solely for informational purposes, and it is not an offer to buy or sell or a solicitation of an offer to buy or sell any security or instrument or to participate in any particular trading strategy. Integrated Capital Management, LLC and any of it's employees or representatives acting as an agent, may transact business in a particular state only if first registered, excluded or exempted from registration. Securities offered through Purshe Kaplan Sterling Investments, Member FINRA/SIPC. Headquartered at 18 Corporate Woods Blvd., Albany, NY 12211. Purshe Kaplan Sterling Investments and Integrated Capital Management are not affiliated companies. Check the background of this firm on FINRA's BrokerCheck. See more at: FINRA's BrokerCheck.